Heat 1 inch water (salted if desired) to boiling in 4-quart Dutch oven. Add green beans. Heat to boiling; reduce heat. Boil uncovered 5 minutes. Cover and boil 5 to 10 minutes longer or until crisp-tender; drain. 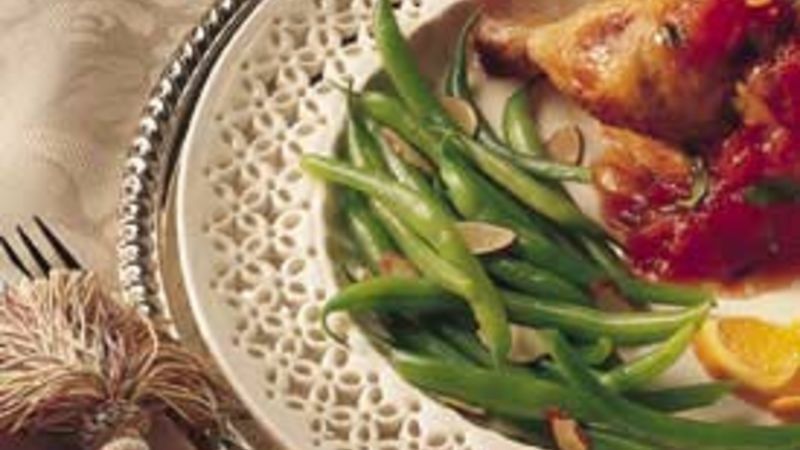 If fresh green beans seem more work than you’ve time for, you can use two 16-ounce bags of frozen cut green beans or French-style green beans. Cook as directed on the bag, then toss with the butter-honey mixture and sprinkle with almonds.